What this Turkish cheat got in benefits will leave you FUMING! 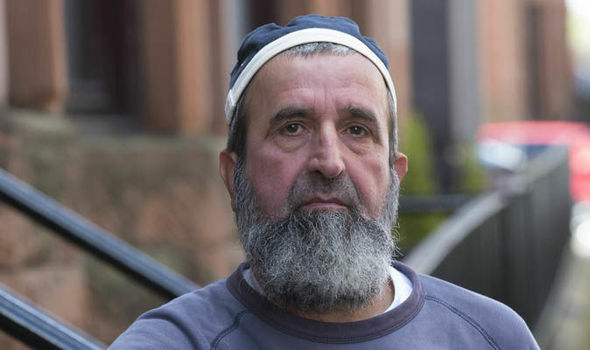 Sahin Lim aged 61 and from Glasgow had told the authorities on a number of occasions that he didn't like to travel. Glasgow Sheriff Court heard Lim, who is originally from Turkey, has been receiving some means tested benefits since April 2002 and others since 2010. A court heard flights were paid for him to countries including Australia, America and Thailand and in total he travelled abroad 839 times! When applying for them he claimed he had savings of around £200 between two bank accounts had five undeclared bank accounts that more than £420,000 went in and out of. Despite completing 45 forms and being spoken to on the phone on four occasions Lim said he had no savings, no other money in any other bank accounts and no other income. The Prosecutor said: "During this period, Lim completed several medical assessment forms in relation to his employment support allowance claim. Within the forms the accused stated he would only go outdoors if he had an appointment, that he did not like going outdoors alone, spends the majority of his time in his house and does not like travelling." The court was told how the Department of Work and Pensions received information that Lim had large sums of cash and was travelling abroad extensively, while claiming benefits. "Investigations were carried out and it was established he had five undeclared bank accounts. It was established that during the period of the libel £426,625 entered these accounts and £423,436 left the accounts." Defence lawyer Ryan Sloan said: "Mr Lim is a prominent member of the Turkish community in Glasgow. His position is that over the period of the charges he was repeatedly entrusted by other parties to carry out financial transactions on their behalf. The only benefit he would receive would be in the purchase of his flights. He accepted that all of this money has been going through these accounts." Sentencing has been deferred for further reports and he is being kept in custody. Click here to read more about our campaign to bring common sense back into British society!